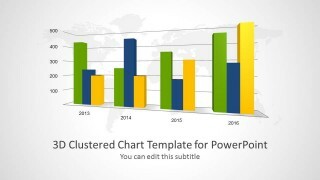 3D Clustered Chart Template for PowerPoint– a selection of 3D vertical bar charts that are grouped or clustered together. Colorful and elegant, the slide designs can surely impress professional audiences. The smart appeal of the layout can stimulate attention and conscious learning. 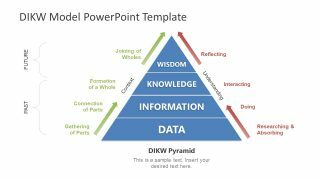 The PowerPoint template is perfect for data-driven presentations such as marketing and sales. It is actually generic which means that any subject matter can be applied. 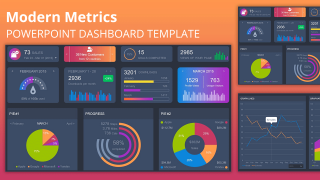 It can be used in research presentations where the user can visualize clustered results. It is ideal for statistics and inventory. Many business concepts can find it extremely useful such as financial reporting and in weighing strategies. 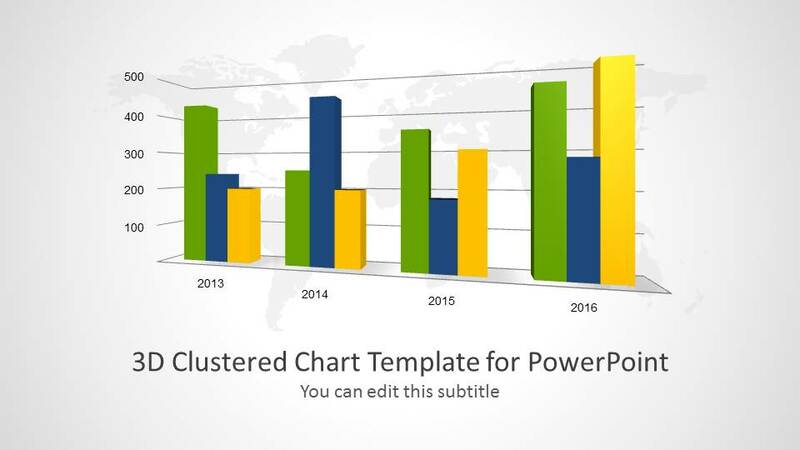 3D Clustered Chart Template for PowerPoint is composed of 5 novel slides. 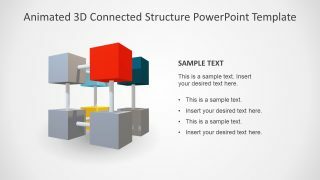 In the first slide, a perspective bar diagram is displayed inside a 3D horizontal grid. Each layer of the grid and every chart cluster have a corresponding text placeholder for labels. The second slide groups the data according to color coding. The background is a gray world map outline. The colors can symbolize a certain homogeneous collection. 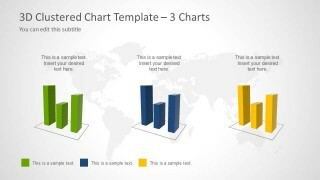 The third slide gathers all bar charts in one plane. 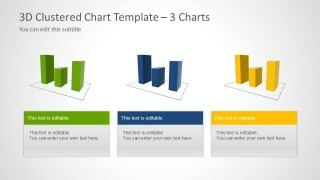 In the fourth slide, the presenter can key in important descriptions on the text boxes relative to each color. Duplicate features from the second slide are pasted to the last slide. The only difference is the flat white background. 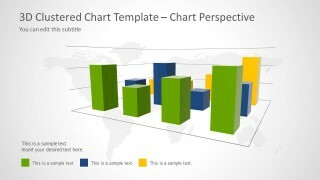 A clustered bar chart consists of many groups of data arranged graphically. The data is quantitative and the height of the bars is generally proportional to these values. The diagram can emphasize of different homogeneous clusters in a heterogeneous setting. This way, analysis becomes a lot easier. Patterns can emerge on the graph and gaps can be easily identified. 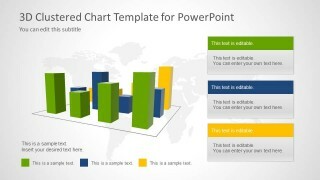 Present with awesome infographics with 3D Clustered Chart Template for PowerPoint. 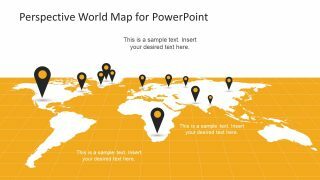 Get creative using Cluster Diagram Template for PowerPoint downloadable at the SlideModel gallery.